A few months ago Zombie Outbreak Simulator reached two million downloads on Android and iOS! 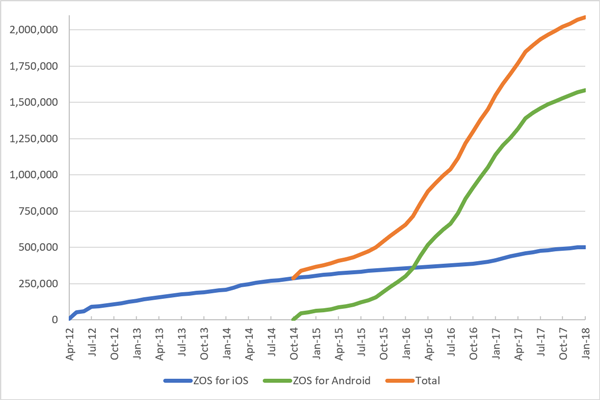 ZOS for iOS released in April 2012 has now reached over 500,000 downloads, and ZOS for Android released in November 2015 has now reached over 1.5 million downloads. To be exact, as of a few days ago on the 22nd of January it was 500,923 downloads on iOS and 1,584,981 downloads on Android for a total of 2,085,904. Many thanks to everyone who has downloaded the game!